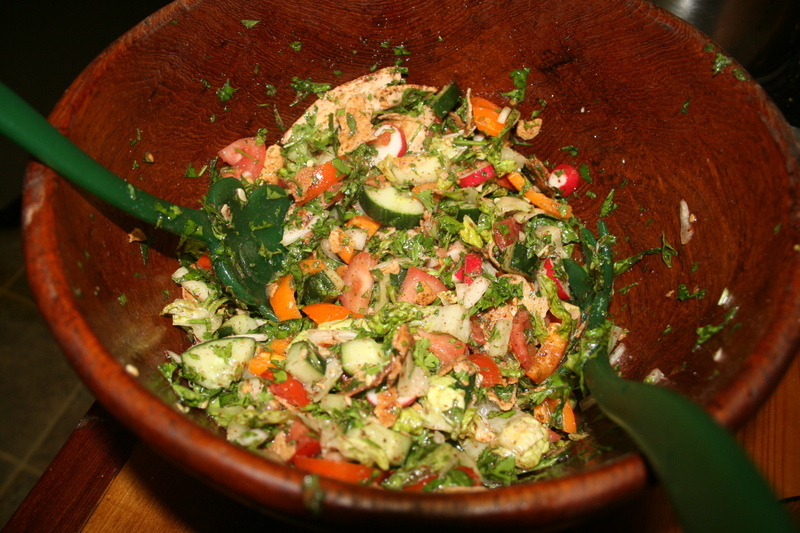 This salad requires several ingredients including “SUMAC”–which is a spice you might find at a middle-eastern store. The quantities are not essential, however the taste is really enhanced with lots of good-sweet tomatoes & fair amount of parsley & mint. If you have left over, don’t toss it, it tastes great the next day. Don’t let the marinated croutons turn you off…it’s still so tasty!